Ford F-150, one of the most popular pickup trucks in the world, now has a limited edition variant which the company showcased at the 2017 Dubai Motor Show. This variant is the top-of-the-line model of the F-150s range. 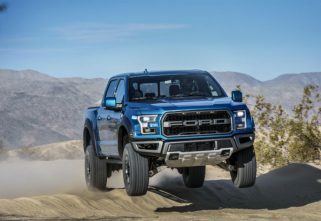 The F-150 Limited is powered by a 3.5-litre, twin-turbo, V6, EcoBoost engine which produces 375 bhp of max power at 5,000 rpm and 637.23 Nm of peak torque at 3,500 rpm. 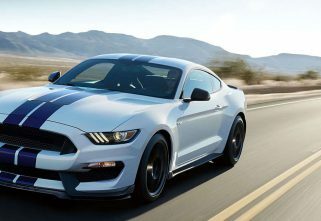 The engine is mated to a 10-speed SelectShift automatic transmission. Of course, the Limited edition has a four-wheel drive system, but that doesn’t come as standard but is available as an option. 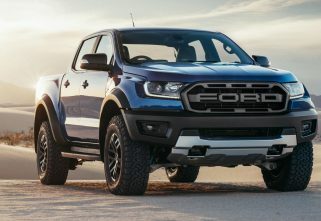 The Ford F-150 has always been a big vehicle, of course, owing to the fact that it is a pickup truck. But the new 2018 model is not just big but modern as well. Ford went ahead with a new quad-design of the headlamps, which look fantastic. These are LED units. Then the new big front grille with satin-finish and silver-lining inserts enhances the appearance of the truck. Even the front bumper is designed to match the mammoth footprint of the vehicle. I surely wouldn’t want to see one in my rearview mirror. Then there are the new 22-inch polished aluminium wheels to bear the load of this heavy pickup truck. Ford has also made certain changes at the rear. The tail lights carry the quad-design of the headlamps to keep things in sync. They are also made a bit sharper and are LEDs. If we talk about the interiors of the F-150, we’ll be greeted by the big steering wheel with mounted controls. We also get the new Navy Pier leather trim. There is also 4G LTE Wi-Fi hotspot and B&O Play audio system with 10 speakers including subwoofer.